It was an interest in children’s vision that initially sparked Melissa’s desire to study optometry. 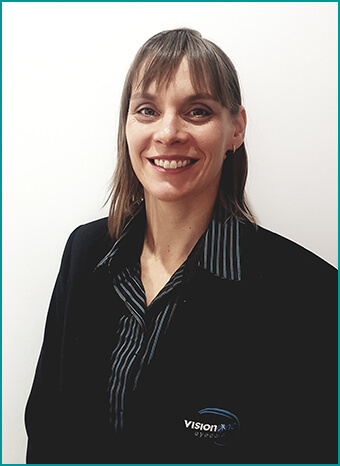 Melissa spent the first 8 years of her career in general private practice, completed a Graduate Diploma in Advanced Clinical Optometry and gained expertise and experience in a range of areas including children’s eye care, contact lens fitting and post-surgery co-management with ophthalmologists. More recently, Melissa has spent 11 years as an associate at a practice established to provide quality eye care for children of all ages. Melissa is well versed in caring for children referred by nurses, teachers and other optometrists for management of their eye sight or eye alignment conditions and vision related learning difficulties. This includes the provision of spectacles, contact lenses and vision therapy. Melissa is enthusiastic and passionate about providing quality vision care to individuals of all ages.